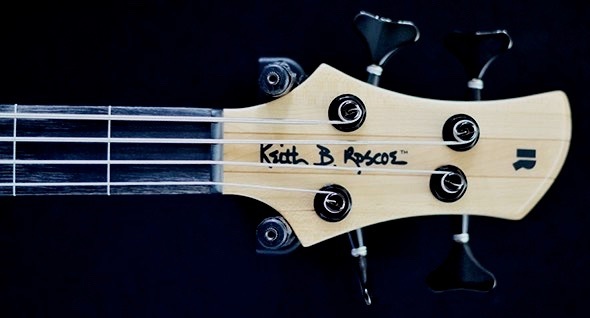 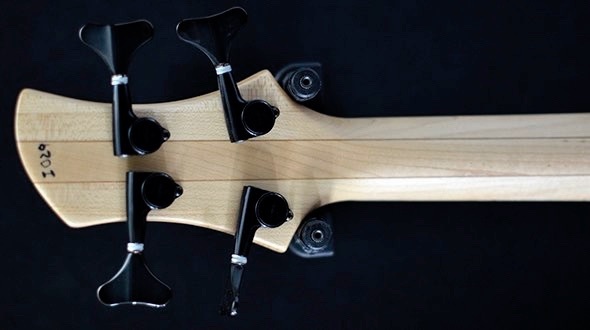 Roscoe have built a reputation over 30 years of making some of the finest custom basses in the USA. Here is a Century shape bass with an beautiful quilted maple top over a resonant Spanish Cedar body, a Diamondwood fingerboard and three piece maple neck. 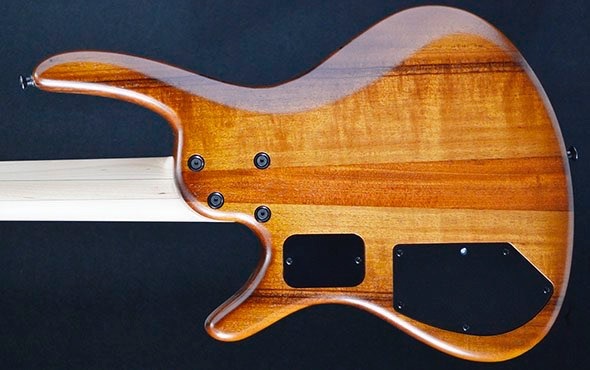 The bass is finished off with a Bartolini 3 band preamp with switchable low/high mid for great control over fretless tones adding either more or less honk or more or less warmth and the superb Bartolini JJ pickups in the JB position for a really inspirational bass full of punchy tones with real depth, control and plenty of mwaaah! 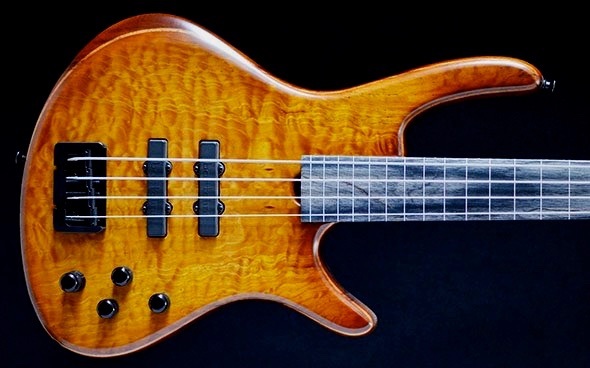 Bass Guitar 2011 Review - Roscoe Century Standard 4.